Even as the entire Northeast is on the boil over the contentious Citizenship (Amendment) Bill, 2016, BJP national president Amit Shah on Sunday reiterated that the government is determined to transform the bill into Act. A TOI reports quoted Shah as saying that the bill is ‘very important and necessary’ for the nation. However, Shah was quoted as having said that the it will done only through a ‘consensus’ among all parties. The BJP national president was also quoted as saying that the refugees who had faced religious persecution in other countries cannot be left ‘to their fate’. The report quoted Shah as saying that are difference of opinion among many people over various issues regarding the bill. He also said negotiations are on at various levels. Even union home minister Rajnath Singh had a detailed discussion with leaders from the north-eastern on Sunday where the former is learnt to have assured the leaders of various political parties from the region that the government will rethink over the bill. 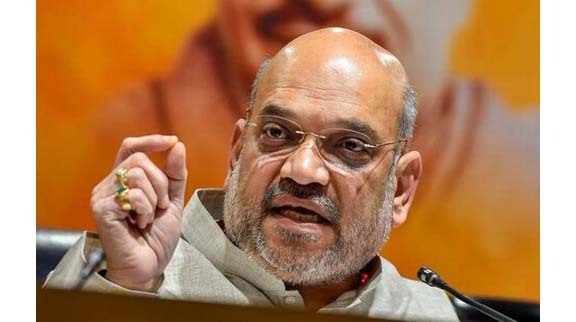 Shah’s comments came amid indications from BJP leaders that the government may not push the bill for passage in the ongoing budget session after facing strong resistance from different parties, including its own allies in the north-eastern states.